Fant4stic is a reboot of Marvel’s original and longest-running superhero team which centres on the lives of four young outsiders teleport to an alternate and dangerous universe, which alters their physical form in drastic ways. Their lives are irrevocably upended and the team must learn to work together and harness their overwhelming new abilities to save Earth from a former friend turned enemy. The film stars Miles Teller, Michael B. Jordan, Kate Mara, Jamie Bell, Toby Kebbell, Reg E. Cathey and Tim Blake Nelson. Movie opens in TGV Cinemas nationwide on August 8. 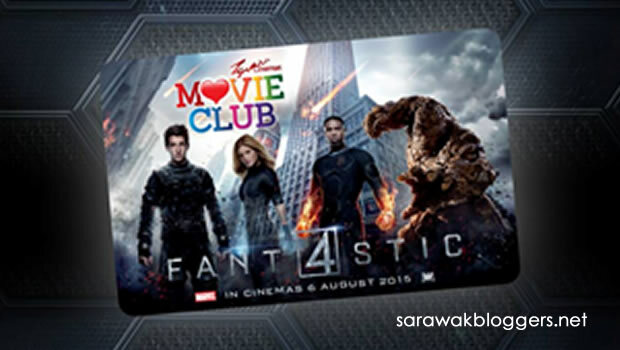 The Fant4stic TGV Cinemas MovieClub card and Tumbler Combo is available in all TGV Cinemas locations including Miri.